LONDON (AP) — Scotland’s leader said Sunday that her nationalist party will support a new referendum on Britain’s divorce from the European Union if Parliament gets a vote on it. With the U.K’s Conservative government divided over future economic ties with the EU and Britain’s departure looming on March 29, calls are growing for a new referendum on whether to accept a divorce deal or remain in the bloc. 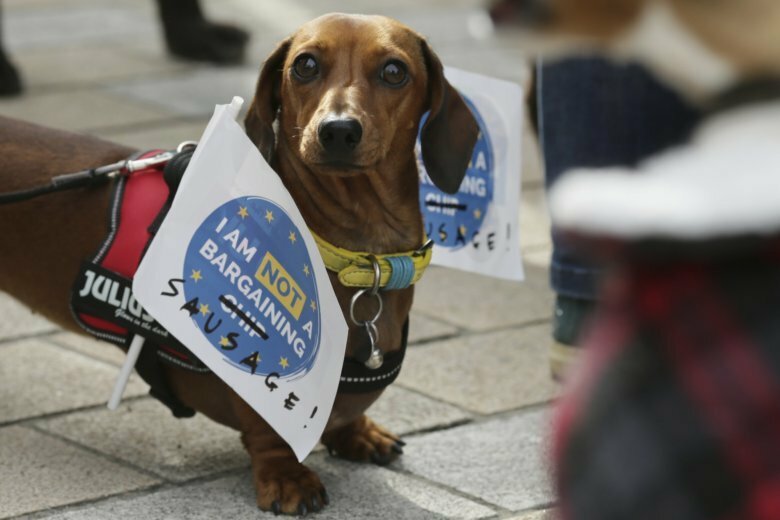 Hundreds of pro-EU demonstrators and their dogs marched through London to Parliament on Sunday in a “wooferendum” protest demanding a new Brexit vote.